We are very excited about our American Girl STEAM Camp! 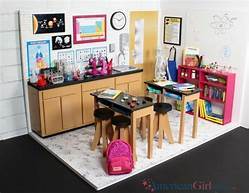 While we encourage everyone to bring their dolls and plenty of enthusiasm, the camp is so much more than just “playing with dolls.” Girls will have a blast as they unleash their creativity by integrating the components of STEAM-Science, Technology, Engineering, Art, and Math. Our American Girl Campers will bake a yummy dessert, sew a quilt for their doll. create an art masterpiece, study historical characters, perform some stunning science experiments, and complete an engineering build to name a just a few of this action packed week. The week will also be sprinkled with tea parties, games, story telling, American Girl Books, and plenty of fun and laughter.